Every generation has a story to tell. A new generation of artists featuring, Alina Kawai, Erin Marquez, Kana Ogawa, Daniel Stratis, Bronson Shimabukuro, Chiho Ushio, and Andrew Yamauchi will be opening an exhibit on March 29th to May 5th, 2019. Artist reception March 29th: 4 – 7 pm. Gallery 'Iolani is located on the Windward Community College campus, at the foot of the Ko'olau Mountains, in Kane'ohe, Hawai'i. 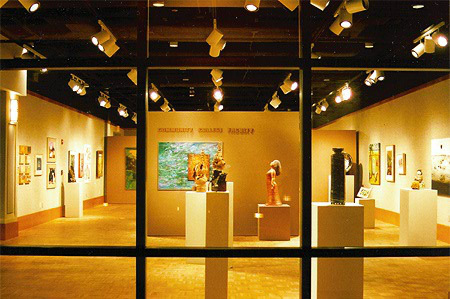 The 1,800 square foot gallery is in the Palanakila Humanities building adjacent to the Paliku Theater.